HOIHGm is a unique organisation with a Board of Governors comprising the world's most experienced hotel professionals. Dubai: The Honourable Order of International Hotel General Managers (HOIHGm) has officially launched today from its first regional headquarters in Dubai, UAE. The international organisation - the world's first and only initiative of its kind dedicated exclusively to the hotel general management community - is designed to raise the profile of hotel GMs, whilst providing a range of professional and personal membership benefits, such as portable healthcare and insurance options. Membership is open to all hotel GMs, those who have previously served in the position, owner/operators, as well as retirees and aspiring young professionals on the career path to becoming a GM. HOIHGm has been founded by Mr. Leon Larkin, an Australian national with over 40 years experience as a GM in some of the world's leading hotels in Europe, Asia and Australia. "During my career I came to realise that there was something significant missing for GMs on a collective scale, in some ways similar to what the concierges have with Les Clefs d'Or. Before now, GMs have had nowhere to go for independent assistance or support, both in general and particularly in times of need. HOIHGm will provide a thread of continuity and range of benefits which reflect the challenges our colleagues face throughout their careers and beyond - the number one incentive being an elective portable healthcare insurance plan for themselves and their families" explained Mr. Larkin, HOIHGm Founder and President. 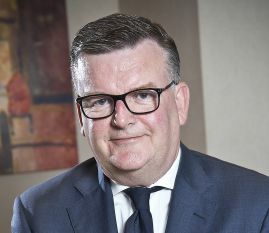 "Since my retirement, I have been in the privileged position of building an organisation that is dedicated to the greater good of the hotel general management fraternity and allows me to leave a legacy that will benefit GMs and their employers for years to come. The more members we attract the more we can offer and I hope people will join us knowing that together we have a chance to change the future of our industry forever" he added. Richard Hartman - Non- Executive Director for Jumeirah Group, former CEO of Millennium & Copthorne Hotels, former Board Director and MD of InterContinental Hotels Group, Europe, Middle East and Africa. Giovanni Angelini - Former CEO of Shangri-La Hotels & Resorts and knighted by the Italian government. Heikki Julin - Deputy Chairman of the Board of Directors at Olympia Air Travel, Captain in the Finnish Defence Force. Joseph A. McInerney - Emeritus President & CEO, American Hotel & Lodging Association. Kees Hartzuiker - CEO, Roya International Dubai, former VP Asia, Hilton International. Peter Thompson - Former Starwood Vice-President for Hong Kong, Macau and Thailand & former GM of the Royal Hawaiian Waikiki Beach, Sheraton On The Park and Four Points by Sheraton, Sydney. Philip Carruthers - Former regional MD for Orient-Express Hotels and former MD of Copacabana Palace, Brazil. Hans Olbertz - Board Member of Steigenberger Hotels, hospitality consultant, former GM of Emirates Palace, Abu Dhabi and a longstanding career with IHG. Prue Leith CBE - Restaurateur, author, businesswoman, philanthropist, former board member of Belmond (formerly Orient-Express Hotels). Ruth Hunt - Hotelier, entrepreneur, former proprietor of Combe House Devon, UK, soon to be The Pig at Combe. Erhard Hotter - Industry veteran for over 40 years in Australia and Asia, Former Starwood VP and MD for South Asia. Following the launch, the first phase of applicants will be made "Founding Members" and granted special privileges including additional voting rights, fixed membership fees for three years, as well as access to exclusive discounts and events. Later this year, HOIHGm will host its debut World Congress in Dubai on the critical topic of 'Hotel Security in Today's World' and feature high-profile awards such as 'International Hotel General Manager of the Year' and a 'Lifetime Achievement Award'.